The Xiaomi Redmi Note 5 Pro is a successor to the Xiaomi Redmi Note 4 which was one of the best selling Xiaomi devices in the Indian market. Along with the Xiaomi Redmi Note 5 Pro, Xiaomi also launched the Xiaomi Redmi Note 5 at a lower price aimed at consumers who are on a tight budget. Riding on the success of the Xiaomi Redmi Note 4 these two new devices also gathered a lot of attention on launch. 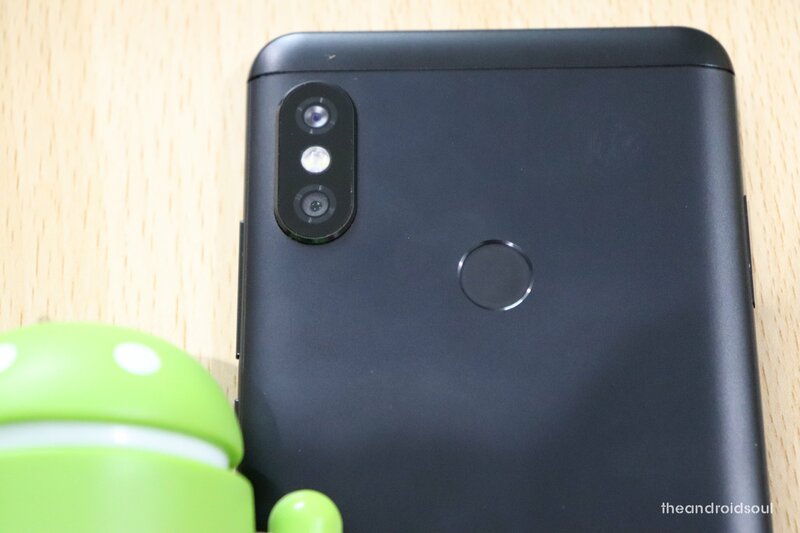 The Xiaomi Redmi Note 5 Pro and the Xiaomi Redmi Note 5 both come with MIUI running on top of Android whose design feels inspired by Apple’s iOS. In fact, the Xiaomi Redmi Note 5 Pro also has the same camera placement as the Apple’s iPhone X. Though, so did several other manufacturers. However, let’s jump to the interesting part now. If you’ve got the Xiaomi Redmi Note 5 Pro or the Xiaomi Redmi Note 5, here’s some good news for you. Xiaomi has rolled out the MIUI 10 update for both the Note 5 Pro and Note 5. 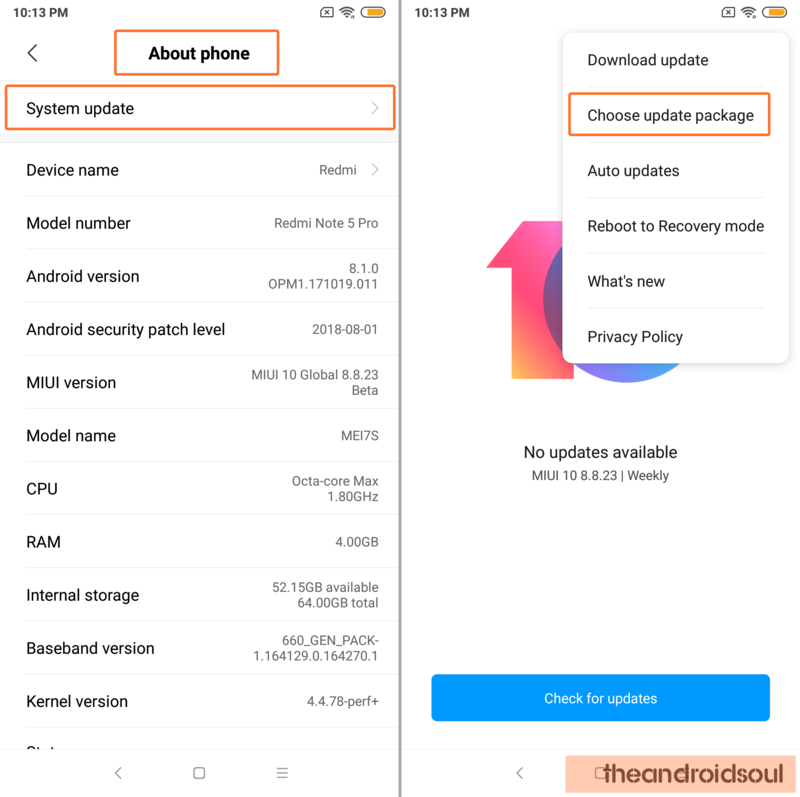 If you haven’t received the OTA update yet, you can install MIUI 10 on your Xiaomi Redmi Note 5/Pro by following the guide given below. When will Redmi Note 4 get Android 9 Pie? You can grab the latest update for your Xiaomi Redmi Note 5/Pro from the link below. To install, follow any of the two guides below, although the simplest one is Method 1 below, that uses the local updater option within the Settings app. Super easy. Transfer the update file to your Xiaomi Redmi Note 5/Pro if you downloaded it on PC. You will need to unlock the bootloader of your Xiaomi Redmi Note 5/Pro first for this as fastboot is locked by default. Take your time doing this. Turn off your Xiaomi Redmi Note 5 Pro and press the Volume + Power buttons simultaneously to enter into Fastboot mode. Connect the Xiaomi Redmi Note 5 Pro to your PC using a USB cable. Click on the yellow circled-out button to refresh and MiFlash will automatically recognize your Xiaomi Redmi Note 5/Pro. Sit back and watch the progress bar inside MiFlash turn fully green, implying that the new system update has been successfully installed on your Xiaomi Redmi Note 5/Pro. The Xiaomi Redmi Note 5/Pro will reboot automatically and you have the update running. 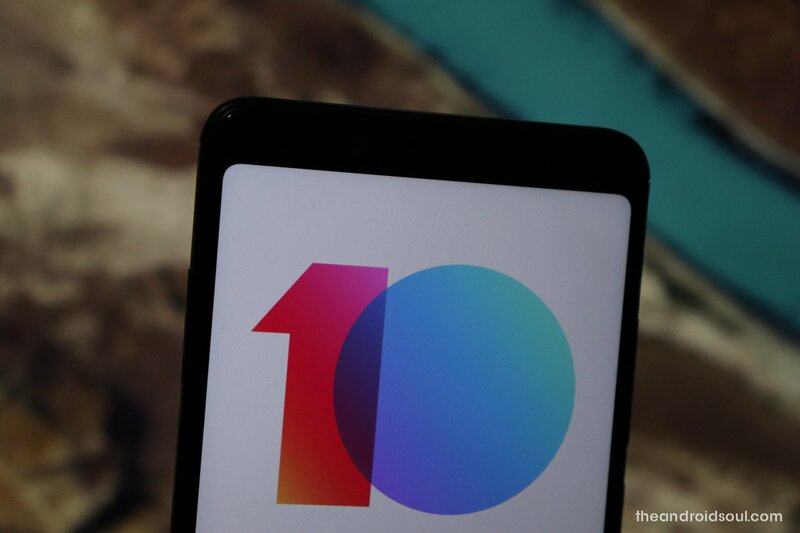 Let us know how you feel about the MIUI 10 update in the comments below.